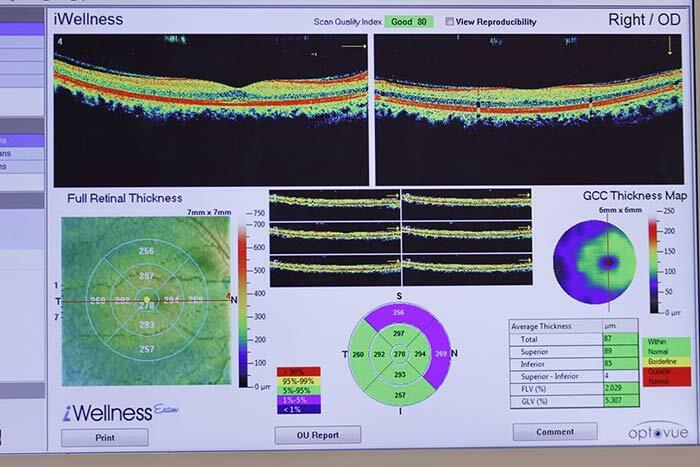 The iWellness and iVue scans image the retina similar to an MRI. 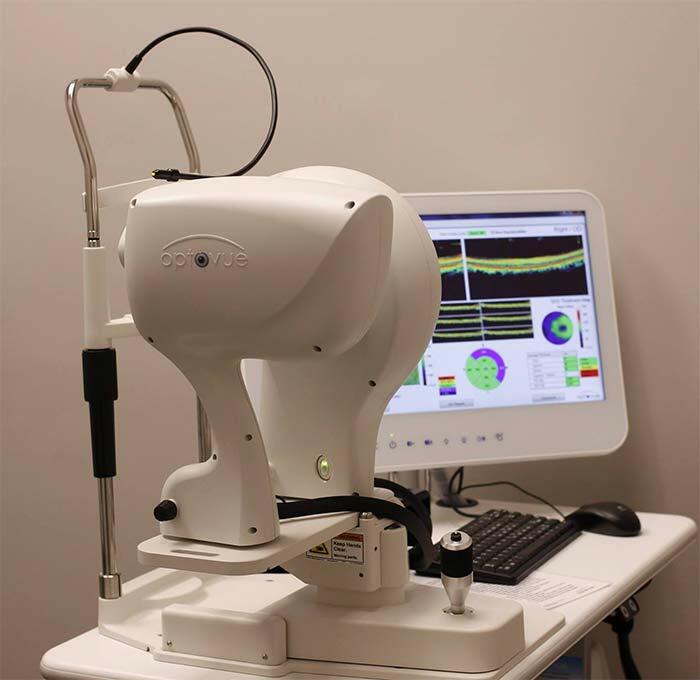 Diseases, like glaucoma, macular degeneration, and diabetic retinopathy can be diagnosed and managed with this advanced technology. No drops and only a few seconds to obtain all that information!